It’s Tuesday, January 17 which means our first two releases of the New Year are out today. 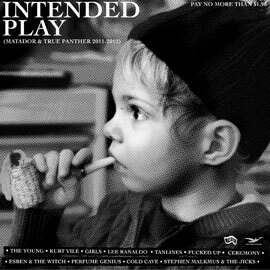 First up is Intended Play, the new ultra-budget vinyl-only sampler from Matador and True Panther. The 11-song LP is $1.98 list price – you can actually order it direct for only $1.80 by clicking on the title above. It contains new tracks from THE YOUNG, CEREMONY TANLINES, LEE RANALDO, PERFUME GENIUS and STEPHEN MALKMUS – all of the above from upcoming releases except the SM track which won’t appear elsewhere, and recent hits (some of them rare) from KURT VILE, GIRLS, FUCKED UP, ESBEN & THE WITCH and COLD CAVE. 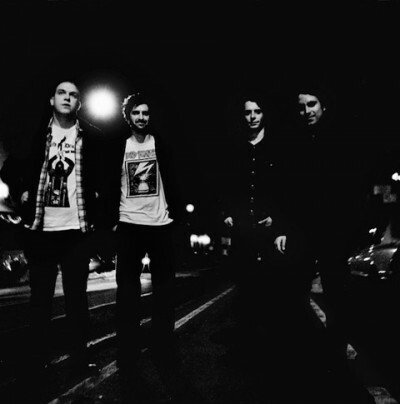 Next is the first single in our new 2012 singles club, SINGLES GOING HOME ALONE. 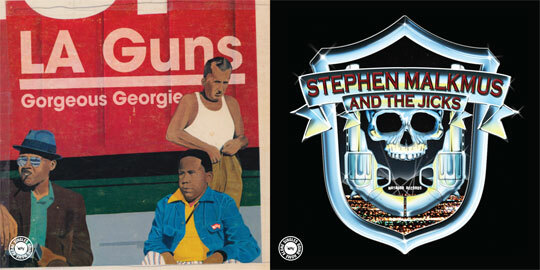 It’s an unexpected conjunction between STEPHEN MALKMUS & THE JICKS and the legendary LA GUNS, covering each other. Hear Malkmus jam on “Wheels Of Fire,” and Tracii Guns pull out the stops on “Gorgeous Georgie.” Sleeve art at the top of the post. 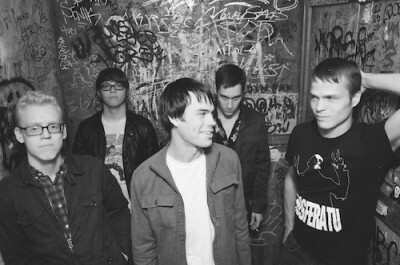 The next two confirmed singles are from Austin’s OBN III’s on March 20, and Brooklyn’s The Men on May 8, with subsequent the singles on July 10, September 11 and November 6.